Did you know that Shakespeare had his own coat of arms? Sometime after William Shakespeare’s father John Shakespeare applied unsuccessfully to become a gentleman William took his father to the College of Arms to secure their own family coat of arms. The application cost 30 guineas and was granted from the Garter King of Arms in October 1596. The reason given for granting John Shakespeare a coat of arms was his grandfather’s service to Henry VII. Once John Shakespeare was granted a coat of arms, he and his male children had permission to put “gentleman” after their names, and display their coat of arms on their door and personal items. Today the coat of arms can be seen on Shakespeare’s tomb in Stratford. 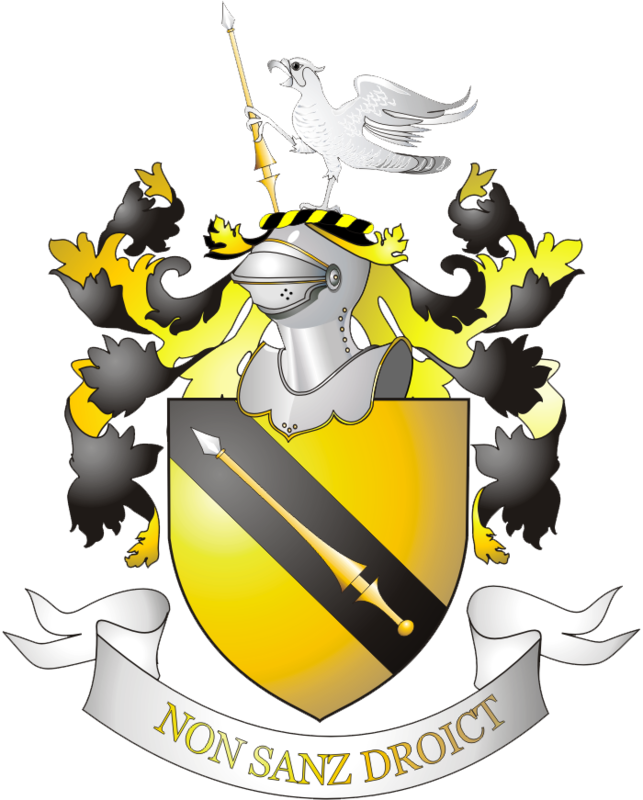 The coat of arms was a yellow spear with black diagonal bar on a yellow shield with silver tip, with the Latin inscription “Non Sans Droict”, translated as “Not without Right”. What’s In A Name? “Shakespere” & Top Shop Shall I Compare Thee…To A Toddler?